Are you looking to remove a tree stump from your property? Bronx Tree Services Corp. provides affordable Tree Stump Removal in the Bronx. Tree stumps can be unsightly on your property and they can also be safety hazards if not seen while walking or running by! If you’re wondering what to do about those tree stumps sticking out of the ground, stump grinding and removal is the answer! Stumps can be removed in just minutes with our stump grinder machine which eliminates stumps by grinding the wood into sawdust. This process also eliminates any remaining connecting roots in the ground for a clean, flush finish. Most estimates can be done over the phone with a couple of questions regarding the size of the stump, location of the stump and the purpose for removing the stump. 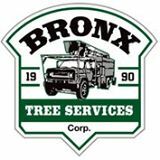 Bronx Tree Services Corp. is a full service stump removal and root pruning company. Our same day service includes stump grinding and root pruning. We guarantee clean, prompt and professional service. At Bronx Tree Services Corp. our professional Tree Stump Removal Service is both affordable and complete by fully licensed and trained tree experts. With all of the recent storms thousands of trees have been toppled, leaving as many stumps behind in need of tree stump removal services. There are many options available when it comes to stump removal. We can use a special machine called a “stump grinder” which will rip into the old stump and remove the stump which is buried into the soil. Removing your stumps for some can just be considered a cosmetic procedure, but for others it can be an object in the way of redesigning your landscape. No matter what the reason for wanting to remove your tree stump, call Bronx Tree Services Corp. to discuss our affordable Tree Stump Removal Services and your tree stump will be quickly removed from your property. Call us today for a free stump removal quote!